NewGamepad Emulator can help Apple iOS device users to play popular and multiple classic games on iPhone, iPad and iPod Touch devices for Free without performing any kind of Jailbreak. As we know, Classic Game Emulation is very much popular amongst Jailbroken device users with certain Cydia tweaks and apps, so the latest NewGamepad Emulator will surely attract Non-Jailbroken device users too. 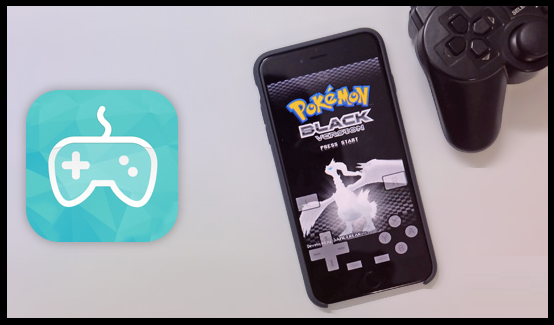 We are sharing a detailed working Tutorial to Get All-In-One Classic Game Emulator with NewGamepad Without Jailbreak on Non-Jailbroken iOS Devices. NewGamepad supports multiple classic gaming consoles i.e. 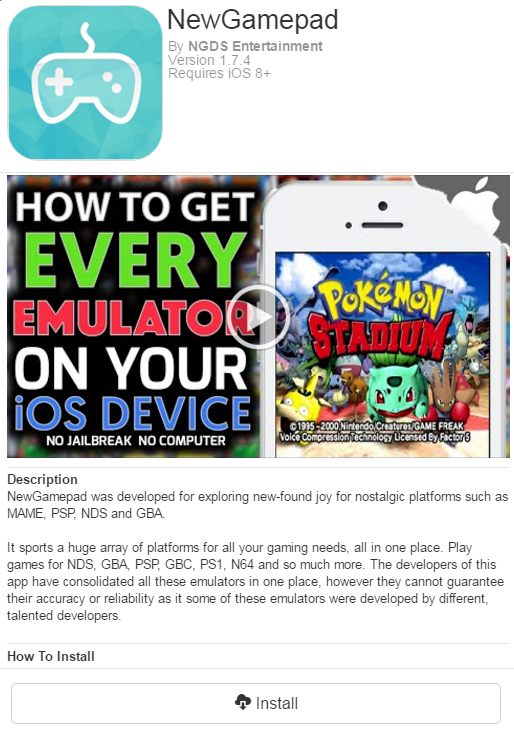 N64, PS1, PSP, GB, GBC, GBA, NDS, NES, SNES, Sega Genesis, iOS Plays and many more, that is why we called it All-In-One Game Emulator for iOS. Once you installed NewGamepad, then you will have access to Emulation for Games as well as Game ROMs, which you can directly access from ROM downloads provided by NewGamepad. So, let's start and follow simple guide below. How to Play Classic Games on iOS with NewGamepad Emulator without Jailbreak? Step 2: Now at the bottom of page, Tap on the big NewGamepad controller icon, and click on "Install" button to download NewGamepad application. Step 3: After app is downloaded, navigate to Settings > General > Profile. Here you will see newly added profile called "Fuzhou Jia Dian Electric Co., Ltd." Just select it. Step 4: On next page, you will get confirmation box, just press "Trust" button, now you will be able to launch NewGamepad app on your device. Congratulations!! You're done.